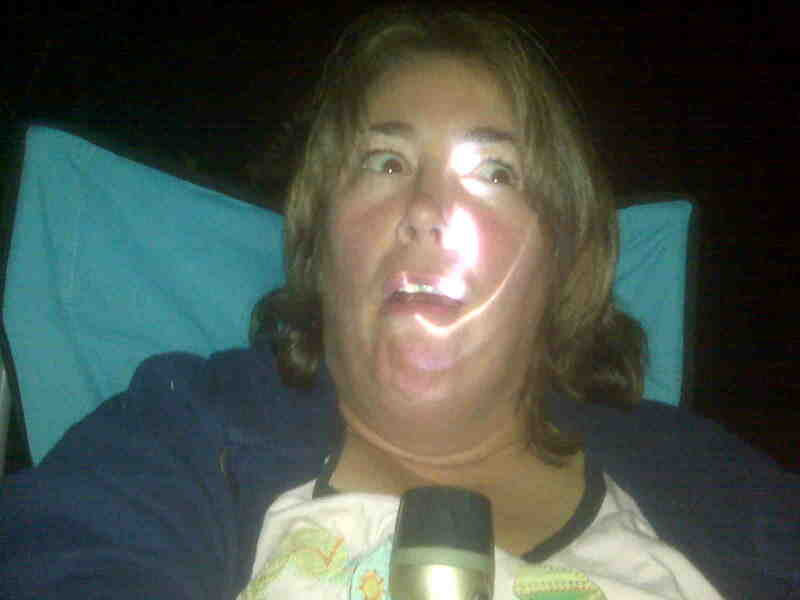 I think this was my attempt at telling scary ghost stories by the campfire one year. I dunno. Or my attempt at Ernest goes to camp. Sick again today. My body is just announcing the arrival of cold and flu season, but it’s enough to allow myself a reprieve from a long post and just give you a few photos of past Halloweens, non-Halloween costumes and Halloween-esque pics. If I hadn’t somehow fried or magnetized my best back-up drive, there would be a lot more, but these will have to do. This will be the first year we haven’t given out candy in I don’t know when. But we’ve been told kids don’t trick-or-treat much in our area. Makes me want to borrow somebody’s kid and take them around. Do you have big Halloween plans? P.S. Only 2 more days of Sasquatch! Friday I hit the salon and some much overdue waxing! P.P.S. You only have until Midnight Thursday to submit a photo of yourself sticking your head in something, to try to win that jar of apple butter! hey, sis! finally got to look at this post, droid has been giving me fits with the traveling marla site…keeps backing me out of the recent posts after just a few seconds. still works fine with the older posts, but i can’t figure out why either way. anyhow, some pretty cool “ghosts of halloweens past” pics!! especially love the old M.C. and a wagon pic. brings back some memories! Very Blair witch project Marla – I have bowls of chocolate at the ready and sadly if no kids come calling I may just overdose on sugar myself! I have my candy, hoping that no kid comes. And I agree with you, that’s very Blair witch project.